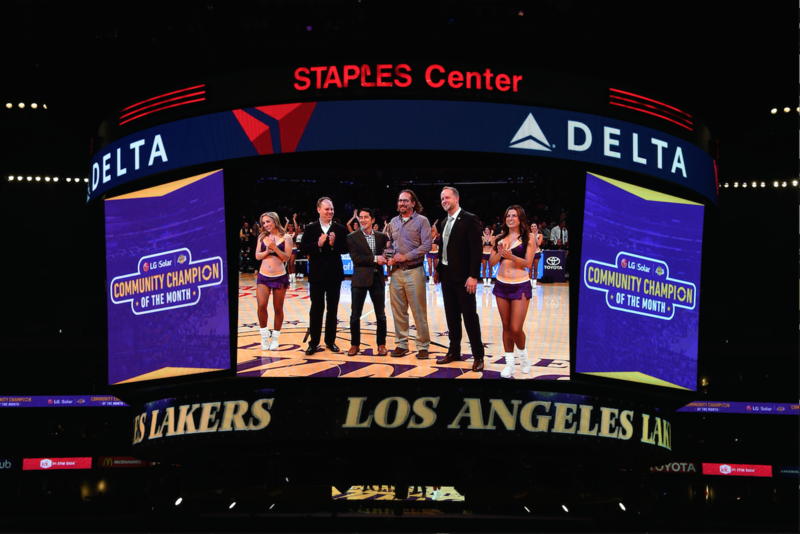 The Environmental Nature Center’s Executive Director Bo Glover was the recipient of the Community Champion of the Month award at the Lakers game on Friday, December 29. 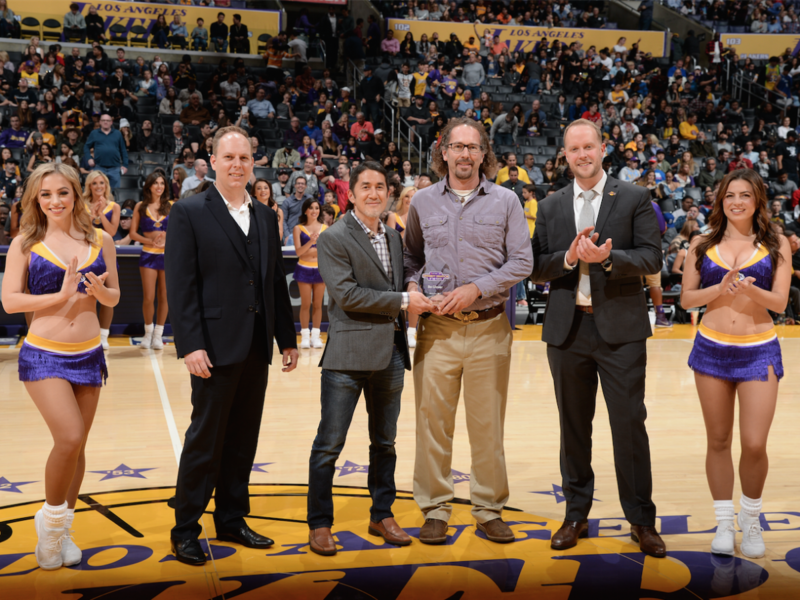 The award was presented by the Lakers and LG Solar to recognize him for his work at the Environmental Nature Center, where he provides quality education through hands-on experience with Nature along with his awesome staff. 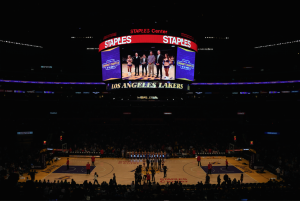 Bo was presented the award on the Lakers court at STAPLES Center at halftime by Geoff Tomlinson, CEO at Vaha Sustainable Energy, Warren Nishikawa, Key Account Manager at LG Solar USA, and Mathew Makovec, Director of Community Relations for the Los Angeles Lakers. Under Bo’s leadership, the Environmental Nature Center (ENC) provides educational programming to over 27,000 people each year by serving as the communities’ foremost authority on ecological responsibility, sustainable practices, and environmental education. Bo has worked at the ENC for 27 years – since 1991 – and he has held the position of Executive Director since 1995. 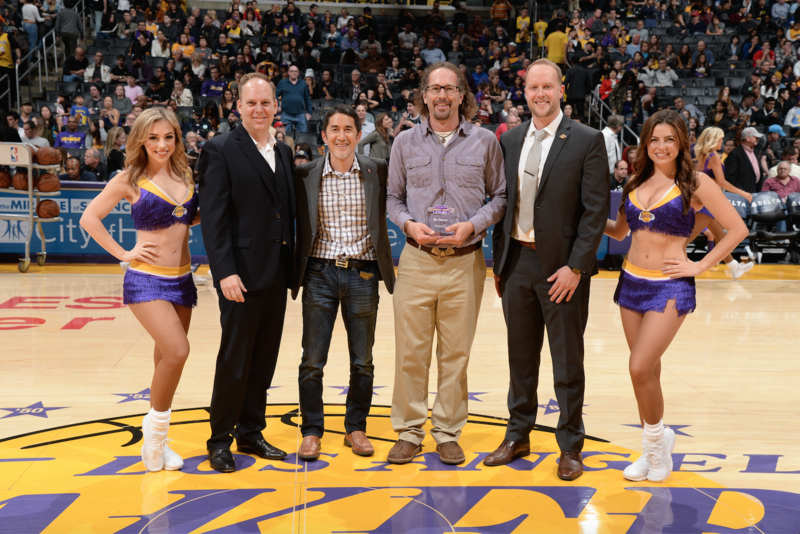 Bo’s accomplishments as Executive Director include raising funds to purchase the Center’s property from the Newport-Mesa School District, building Orange County’s only Native Butterfly House, and building an 8,500 square-foot Leaning Center, which became the first building in Orange County to receive LEED Platinum certification. Currently Bo is spearheading the development of the community’s first nature preschool and nature play area at the ENC. 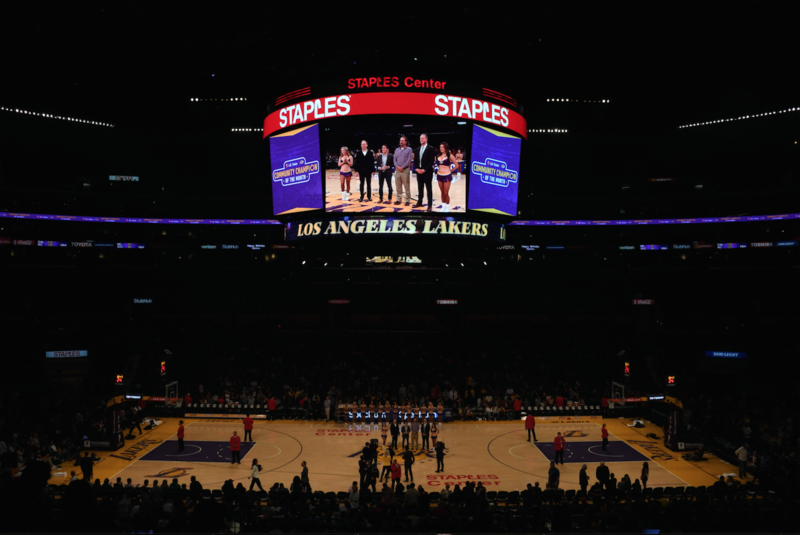 The Lakers and LG Solar partnered to create this initiative to recognize individuals in the greater Los Angeles area for their outstanding work in the community, with a focus on sustainability. 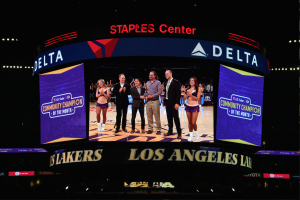 Each Community Champion of the Month recipient is invited to a Lakers game and honored during a halftime presentation.